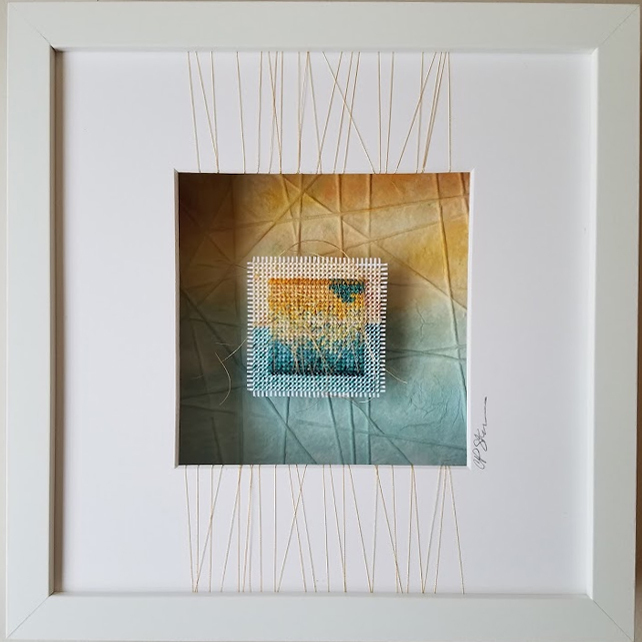 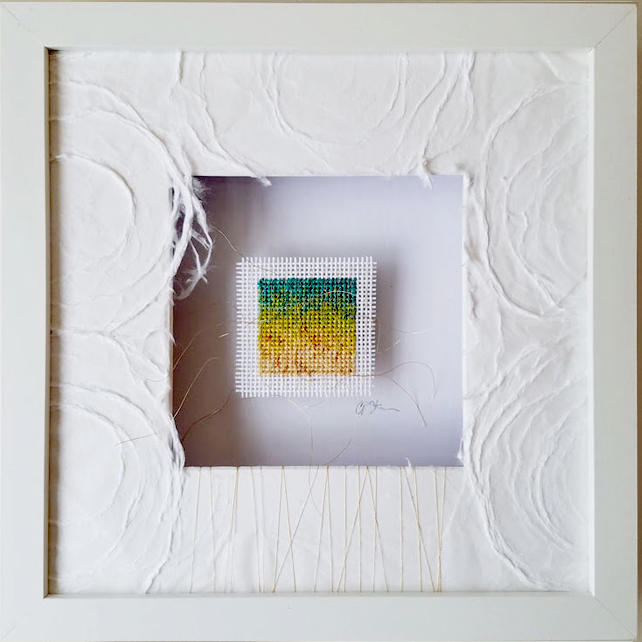 Made of fragments of hand painted thread, hand made paper, a splash of watercolors and a bit of acrylics. 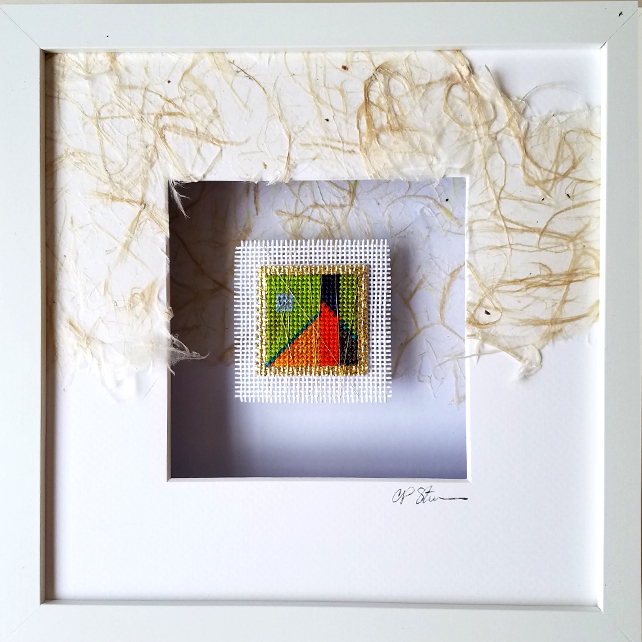 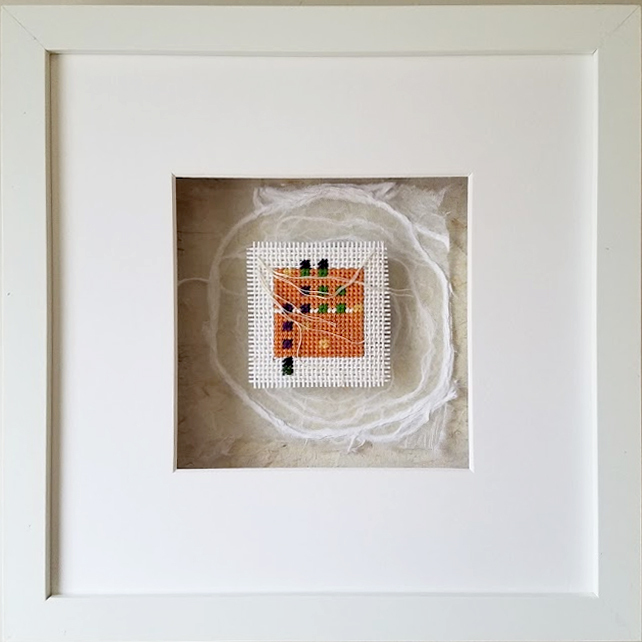 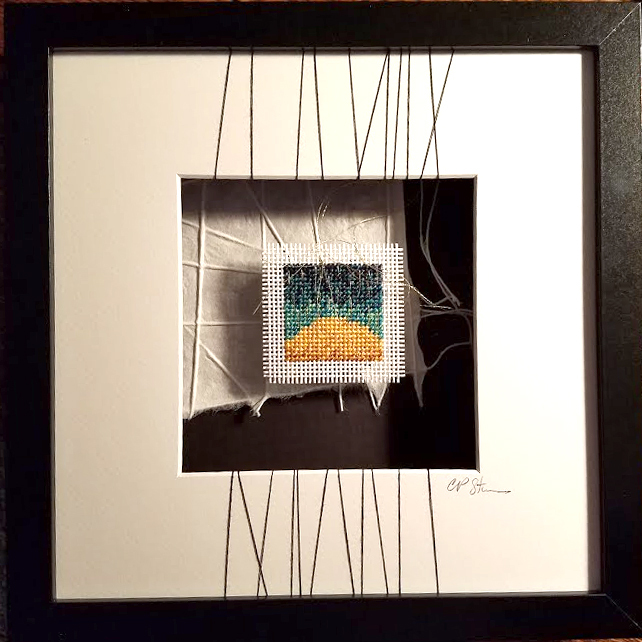 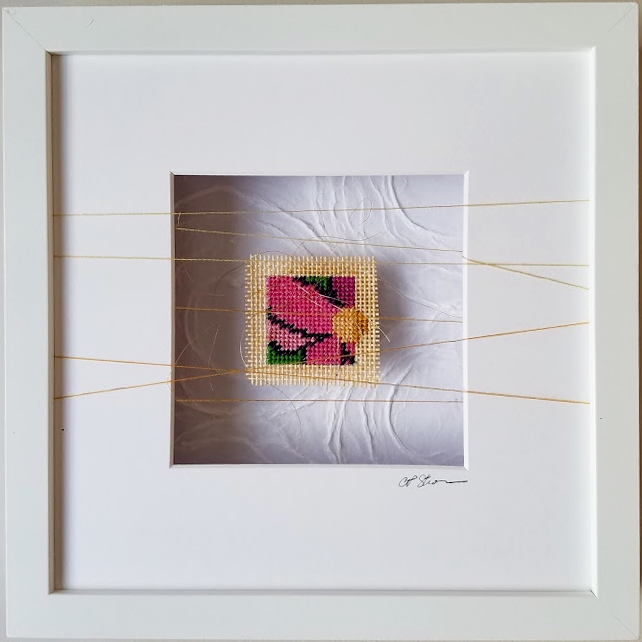 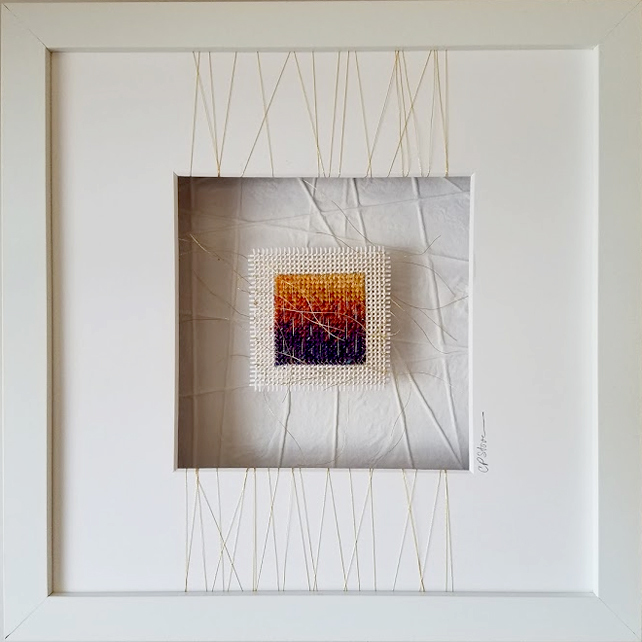 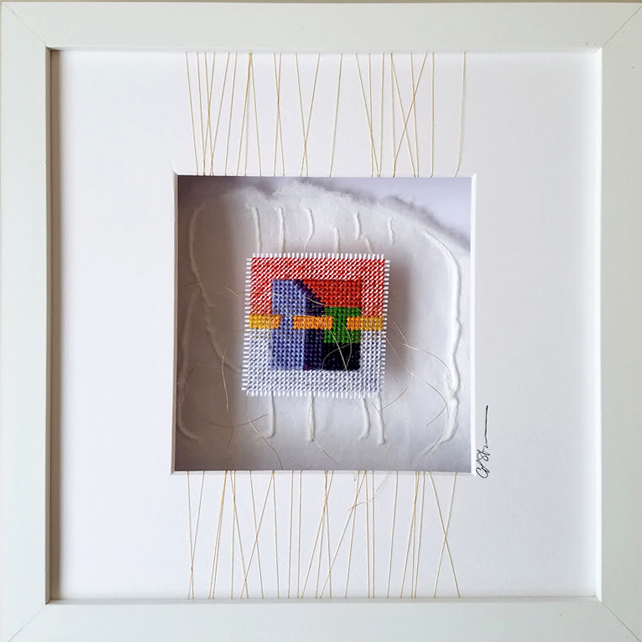 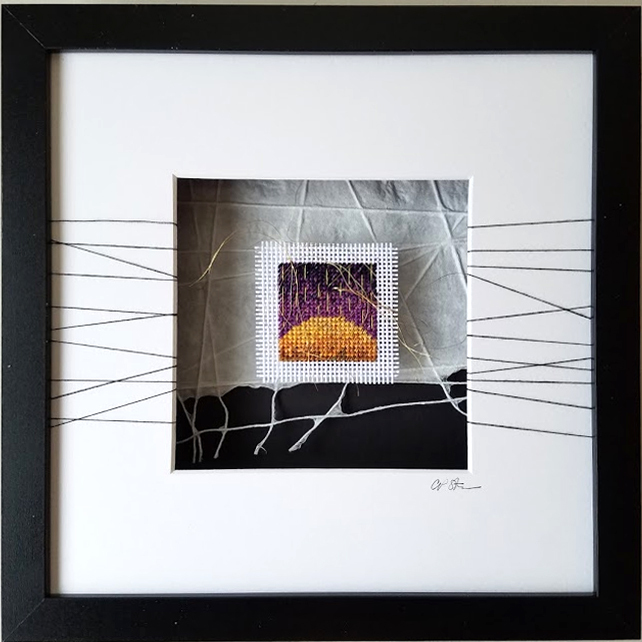 The needlepoint is about 2.5″ square – overall size is 9″. 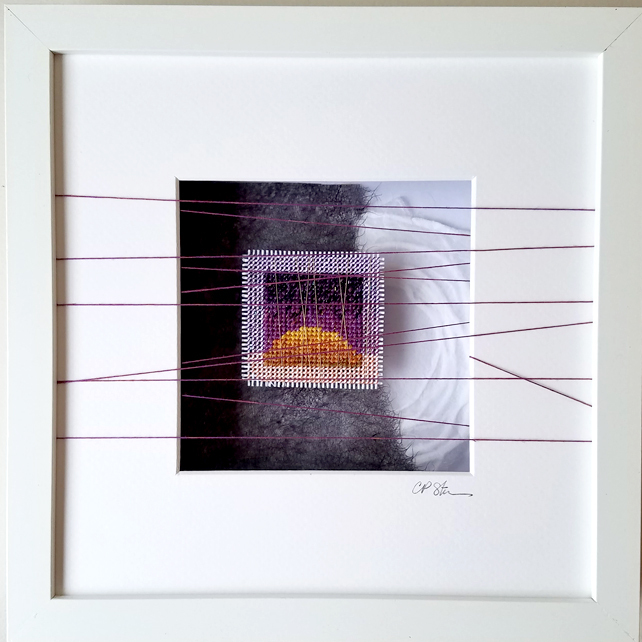 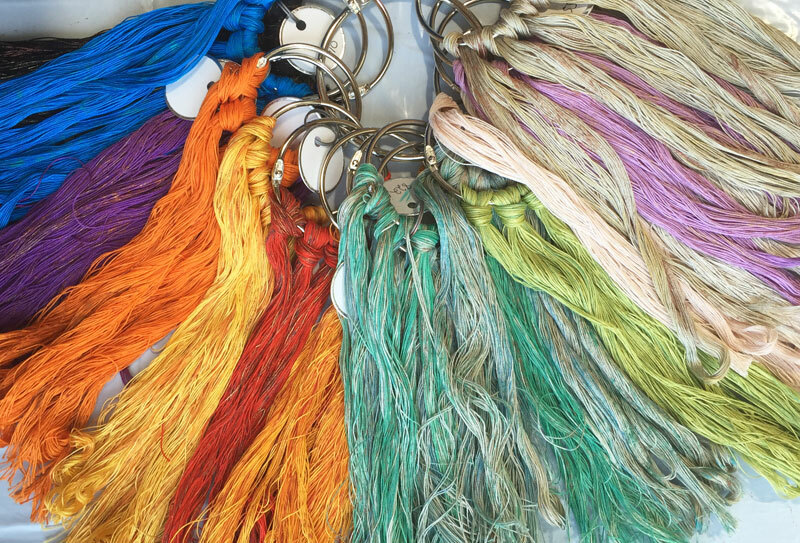 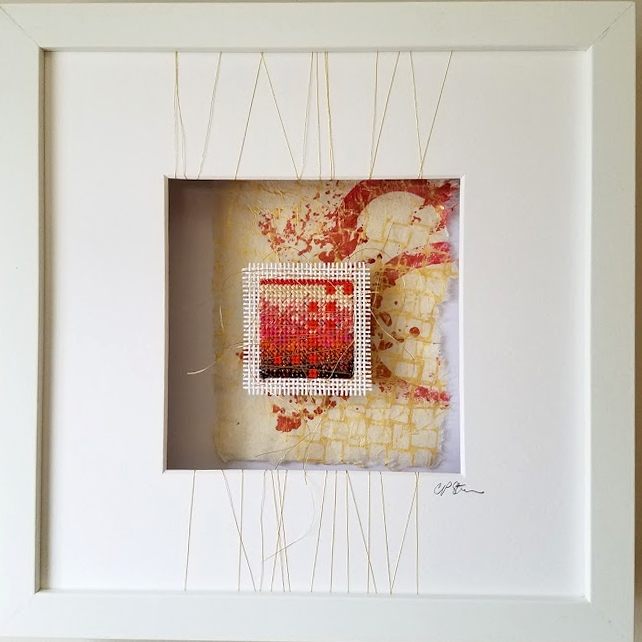 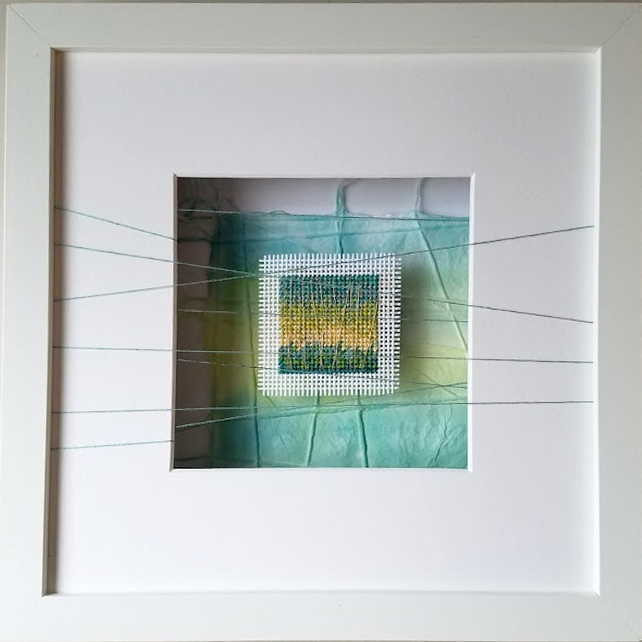 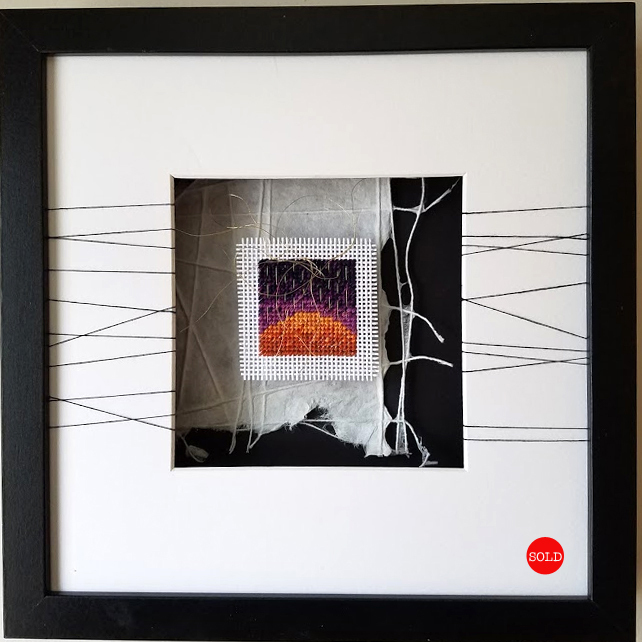 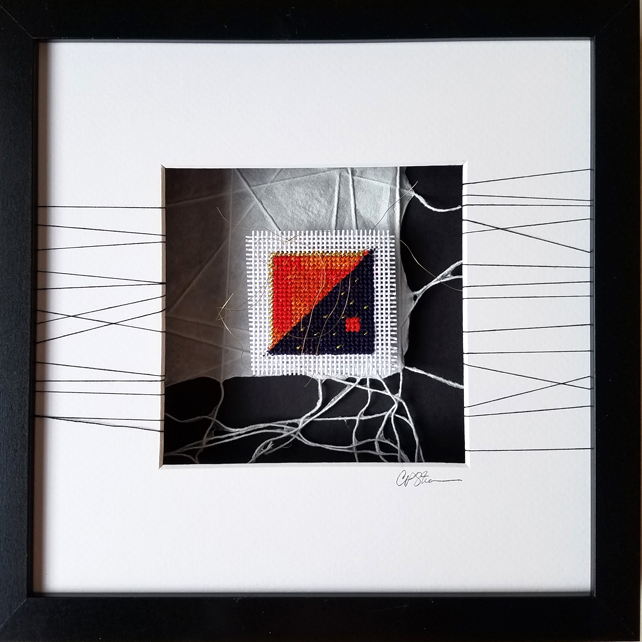 Now Booking Workshops for 2018-2019 – Please ask your Local Needlepoint Shop to contact me for more information.